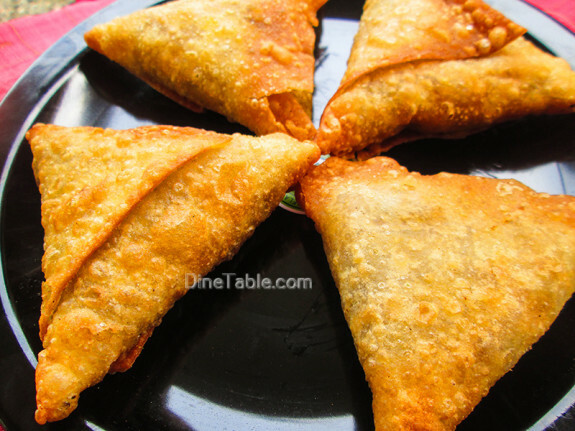 Samosas are all time favorite dish of Indians. 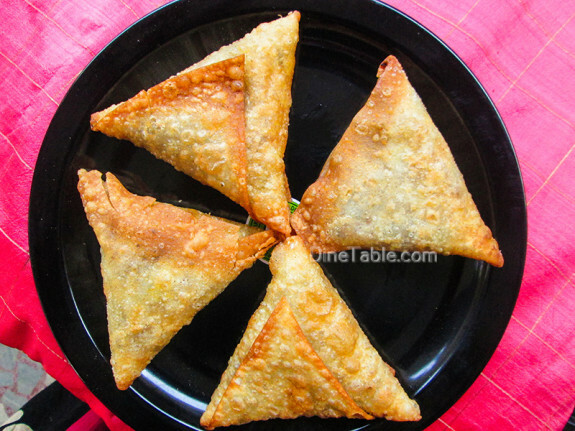 I am presenting Samosa which is an excellent tea time snack which will be warmly welcomed by all of your family. 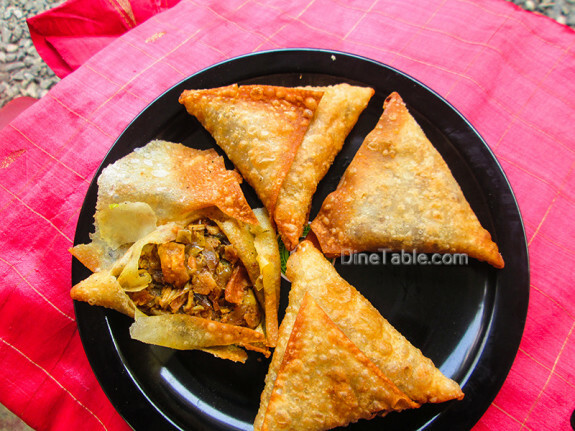 You can add any filling to your samosa. Here I am filling beef mixture, which is very tasty and delicious. The authentic taste of Indian spices can be felt from each bite of samosas. 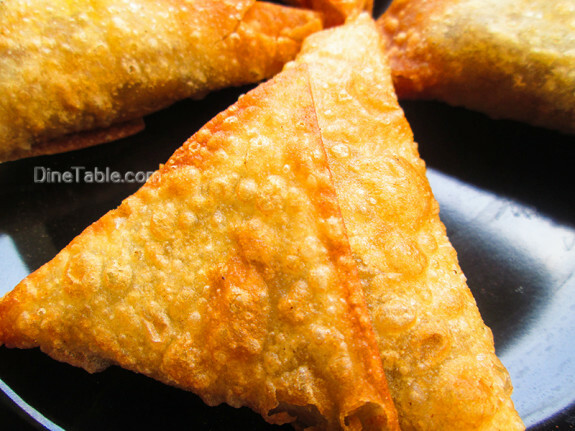 The samosa sheet is prepared with all purpose flour. Adding ghee in the flour makes the samosa sheet very crispy and tasty. 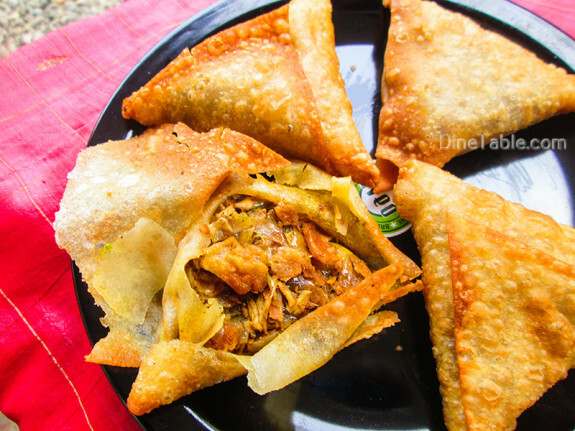 Enjoy homemade beef samosa along with a hot cup of tea. Click here for other tasty Homemade Snack Recipes..
Take a pressure cooker and add beef, 1/2 tsp chilly powder, 1/4 tsp turmeric powder, water and salt. Cook this for 10 minutes till beef is tender and all the water is absorbed. Heat oil in a pan and add chopped onion, ginger, garlic and green chilly and saute well. Add grated carrot, coriander leaves and salt to taste and cook till it is almost done. Reduce the flame to low and add 1 tsp chilly powder, 1/2 turmeric powder and pepper powder. Saute well. Add crushed beef and garam masala to this and saute till it is dry. Allow this to cool well before filling the pastry sheets. Make soft dough with maida, ghee, warm water and salt. Make medium sized balls from the dough. Roll them into thin round shape sheets. Cut each sheet vertically and horizontally to get 4 pastry sheets. Combine 2 tbsp all purpose flour with a small quantity of water to form a thick paste. This is used to seal the edges of the pastry sheets. Fill one tbsp dry beef masala in the pastry sheet. 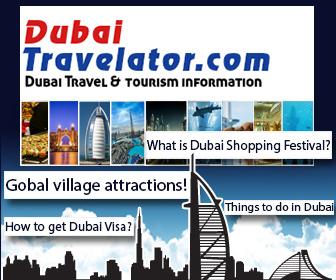 Then fold into triangle shape. Heat oil in a pan and deep fry the samosas till it turns golden brown. 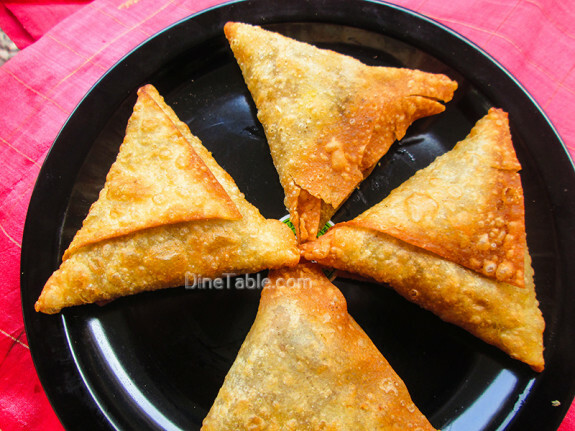 Remove the beef samosa from oil and drain on an absorbent paper. Tasty Beef Samosa is ready.